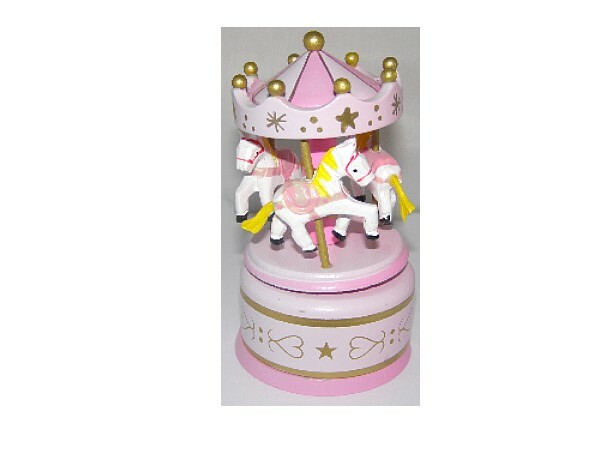 A pretty pink miniature wooden carousel. 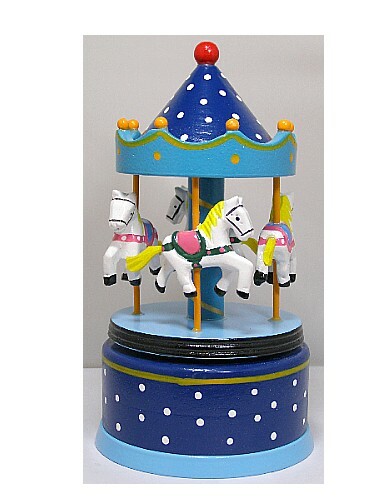 This beautifully hand painted wooden carousel has 3 miniature horses. 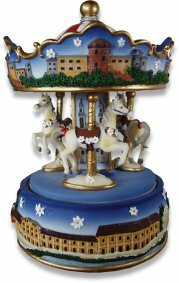 The base is fitted with a clock musical movement, playing the tune 'Blue Danube'. 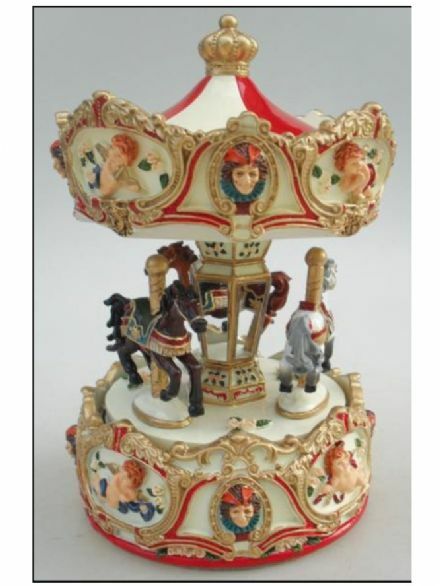 By turning the carousel top in a clockwise drection, this winds the musical movement, and once you release the top the horses will rotate around the carousel whilst the music plays. 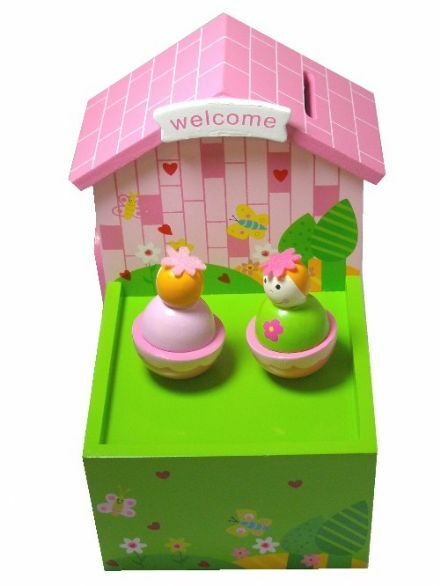 Please be aware that although these are childrens music boxes suitable for 3 years and over, they do contain small parts. If you are unsure about suitability, please telephone and ask one of our staff for guidance.